A new Redmi phone dubbed the Redmi Y3 could be dropping soon if the latest info sighted on the Wi-Fi website is any indication. 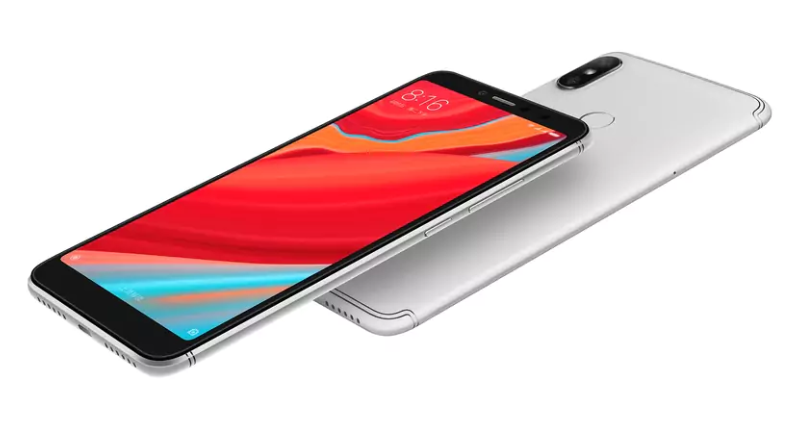 The Redmi Y3 with the model number M1810F6G has been approved by Wi-Fi Alliance. The device when announced will arrive as the sequel to the camera focused Redmi Y2 launched back in 2018. 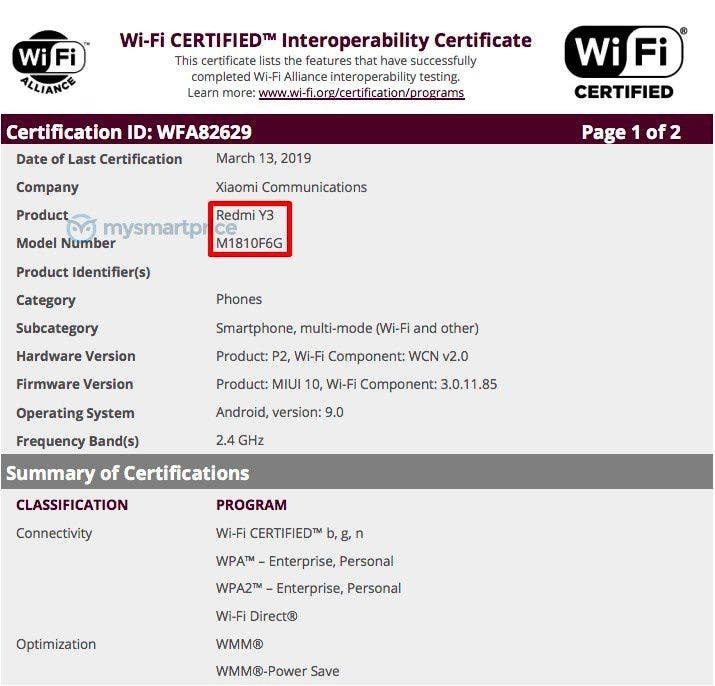 Other than the model number and the marketing name, the WiFi Alliance doesn’t reveal any specs of the upcoming device, except that it will support Wi-Fi 802.11 b/g/n, and boot Android 9.0 Pie-based MIUI 10 out of the box. While it seems too early to speculate, it is pertinent we point out the ‘Redmi Y3 may launch as yet another camera focused phone following the line of the Redmi Y2, while it could also first launch in China as the Redmi S3 since the Y2 first landed in China as the S2 before debuting in other markets as the Redmi Y2. We have no word on when the device will launch, but we hope that could be pretty soon, given that the phone has started collecting necessary certifications.